For feral flowers gone a-ramble over roots and moss, from the tumbledown stones of a life’s foundation. From the mossy bones of a house that must once have been tidy, must once have been kept tidy by her who planted the bulbs whose blooms return each year long after her own has faded from the earth. A streak of gold in the slow-greening woods, a proud adornment to a modest house. Now in defiance of all sense and logic the adornment outlives the adorned, and by the grace of God and springtime has come to pay its respects. Flowers that mark the grave of a life, of lives once made and joined and shared. Of a way of life gone from this place, and too quickly by us forgotten. The earth remembers. I’m pretty sure this isn’t theologically correct, but it seemed to help my daughter on our lunchtime walk today, when we found a tiny bird lying on the asphalt, crushed by a car. 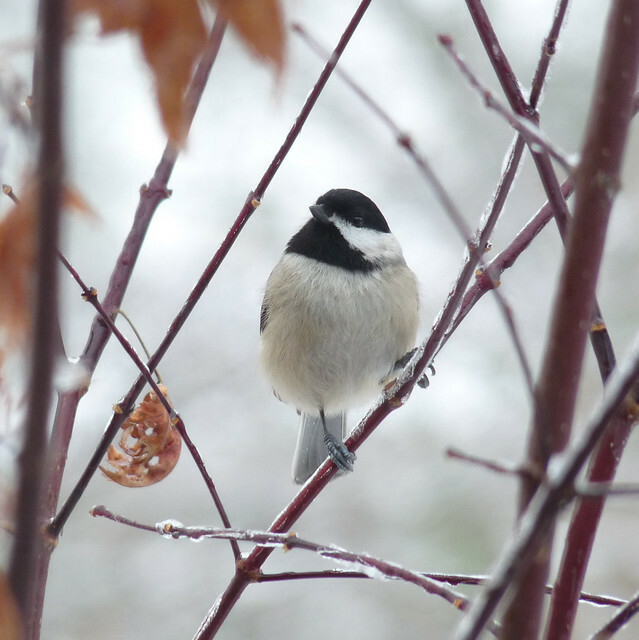 Lord, please guide the brave spirit of our brother chickadee to fields that are always green and full of seed, where the insects are plentiful but not too swift, and the skies are ever clear for flying; and make us all more aware of the presence of your beautiful creatures, whatever form they may take. In Jesus name: Amen. My grandmother died this morning. To liven the mood I shall tell a story. When I was about five or six years old, my parents drove me down to the beach for the day where my grandparents were camping. We had lunch, and I (and everyone else) was asked whether I wanted ham and cheese, or peanut butter and jelly. Peanut butter and jelly, I said. Then lunch was served, and I received a piece of cheese toast. Bread, with cheese broiled onto it in the toaster oven so that it was melted and brown. You know what I mean. But I asked for peanut butter and jelly, I said to my father. He explained that the cheese toast was a first course, and then we would have our sandwiches. A first course. My grandmother was fixing lunch for eight or ten people in a camper, and she was serving a first course. Because, by god, we will be civilized human beings and we will do things are they are supposed to be done. She was not a gourmet by any standard — her mashed potatoes could cement a house. Nor was she an adventurous eater. She once told a story about eating dinner at a Chinese buffet: normally, she said, she didn’t like Chinese buffets, but this one didn’t have so much Chinese food, and so it was pretty good. But when she made dinner, good heavens, she made dinner. We had hors d’oeuvres and first courses and half a dozen side dishes and dessert, and a jello salad for every month of the year. There was a precision to her meals; she had a set of rules, and she followed them. No one else cared whether she followed them or even knew quite what they were, but she did it this way because, to her, that was how it was supposed to be done. Given my propensity to gravitate toward the opposite of what I think I am supposed to do and my continual need to try new things — not to mention my deep love of Chinese food — one might assume that my grandmother and I didn’t have a lot in common. But watch me get ready for a dinner party or a holiday meal or even the odd Wednesday supper, plan every detail of multiple courses, spend days prepping and cooking, and there she is. Working through me, her spirit inexorably in my genes. Running back and forth to the kitchen getting everything right while the guests are arriving, then stuffing them until they beg for mercy and wonder why in hell I don’t just sit down already. Because, by god, we will be civilized people, and we will do things are they are supposed to be done. I hope that wherever she is, they are doing things the right way.